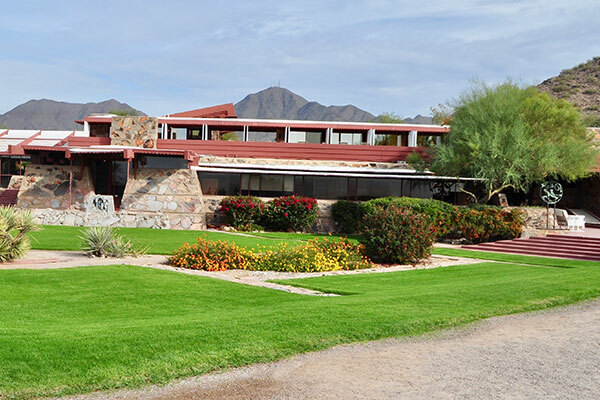 Taliesin West is the famous masterpiece of Frank Lloyd Wright. We'll take a tour of this beautiful complex and learn about one of America's master architects. Originally built in 1937, Taliesin is an ongoing project. It is also the headquarters of the Frank Lloyd Wright Foundation and the winter campus for the Wright School of Architecture. 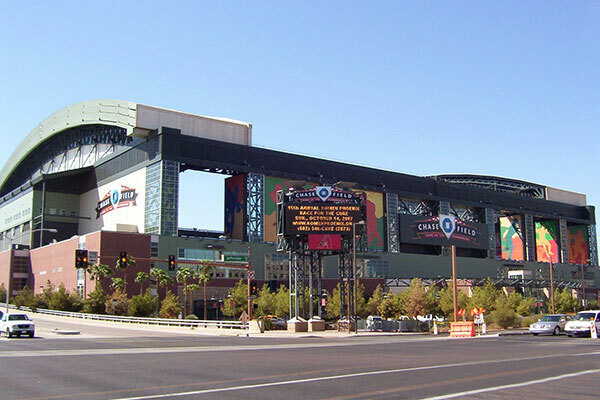 As the home of the Arizona Diamondbacks, Chase Field is a beautiful building that features a retractable roof for games when it is cooler and a swimming pool to cool off in just past the center field fence. A high-tech look is presented with the Talking Stick Resort Arena. 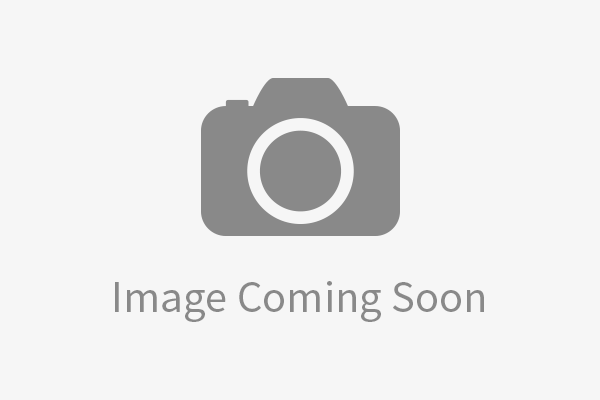 This is the home of the Phoenix Suns of the National Basketball Association. It also welcomes concerts and special shows throughout the year. 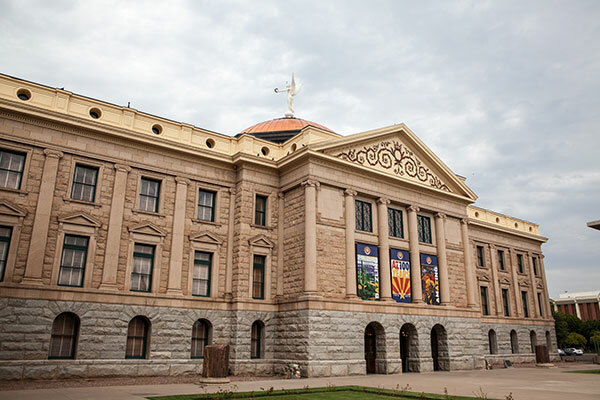 The Capitol of the State of Arizona is not overpowering, but is unique with its copper dome. Plus, the grounds surrounding the Capitol are expansive and lush. Our tour will take you through one of the ritziest cities in the United States, Paradise Valley. Multimillion dollar homes, featuring luxurious Southwestern architecture, are the norm here. Many celebrities and sports stars make Paradise Valley their home. The old and new west meet in the shopping district of Old Town Scottsdale. These shops have been around for many years featuring exceptional Southwestern and Native American art. Plus, there are numerous specialty shops and excellent dining. 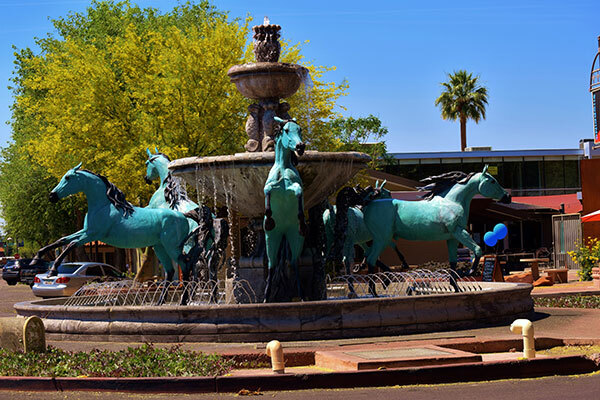 To learn more about the Phoenix, Scottsdale and Taliesin West Corporate Tour, give Across Arizona Tours a call at (602) 233-1813 or toll free at (888) 533-1813 today and one of our courteous staff will help you with all of the details. 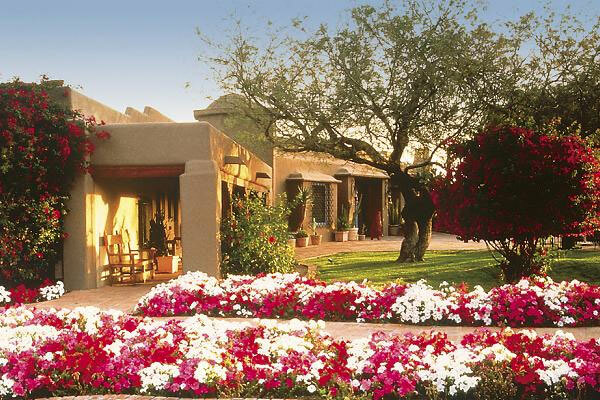 It is our goal to provide you with the best tour of Phoenix for you corporate partners. You can also email us with any questions that you may have.